We are changing to a FREE SHIPPING model for many of our products. The price you see may seem higher, but it is the same as last year, with shipping built in. Fantasy Football Draft Koozies add some extra fun to draft night. Reward your leagues' winners and have some fun with the losers by handing out these Draft Party favors. Crap! You just stole my next pick! I'm Predicting a Top 10 Finish! My Team is Sofa King Great. Round 9... Is Ezekiel Elliott Still Available?? 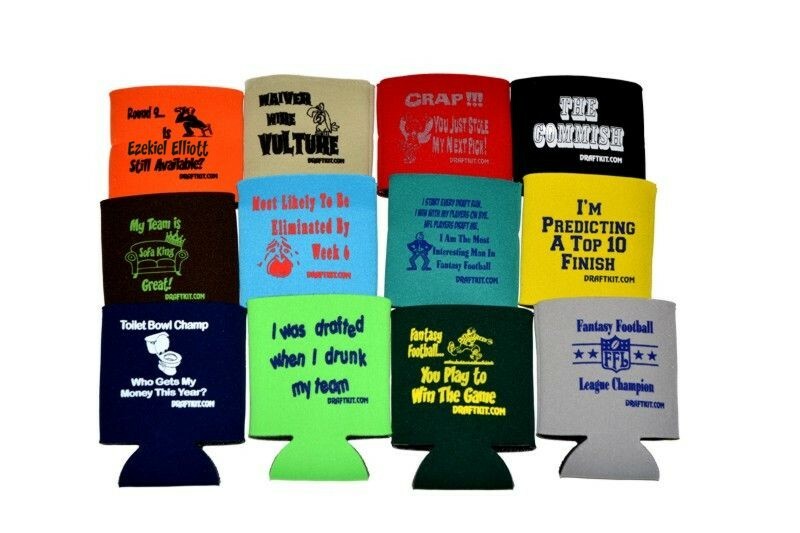 The set includes the Fantasy Football League Champ with no year koozie but does not include the "Fantasy Football This Is War" koozie. Draft night is more fun with these. I hand them out as awards for previous years and everyone get a good laugh!